Chloe Morello: My Healthy Eating Plan! People say 70-80% of the visible results to our body from the food we eat. That’s why I believe you should sort out your eating habits before even worrying about what exercises you should be doing. You will see results SO much faster by sticking to a clean, healthy diet and accompanying that with regular weight training and cardio. To give you an idea on what you CAN eat, I’ve come up with some diet examples. I don’t count calories myself, when you work fulltime and have a social life it’s just too difficult. I aim to eat natural organic foods whenever possible, and stay away from processed carbohydrate, sugars, fats etc. If it doesn’t spoil within about a week – think twice before eating it. I try to eat well 90% of the time. Sometimes I will have more carbs or natural sugars than I should, but I at least try to keep it healthy. I have maybe 1-2 i cheat meals per week. 6.30 am - 3 days I week I try wake up early and do a 30 minute jog OR skipping session. 7.30 am - Eat my breakfast and prepare my lunch. 8.30 am – I get to work and immediately have another lemon and ginger hot water. 10.30 am – I have a snack. If I am to have a piece of fruit I have it now as I try to keep sugars before lunch. 1.00 pm – I have my lunch. 3.00 pm – I have another snack. 6.00 pm – I have my dinner. 7.00 pm – This is usually when I train, I train for about 1.5 hours. 8.30 pm – I have my post workout snack or protein shake. 10.30 pm – I try to be asleep by this time but I’m usually awake on youtube or facebook! Here is an idea of what foods I would eat for each meal. Breakfast: I try to eat some good carbs for my breakky, something to give me long lasting energy and that will prevent me from feeling hungry early on. I enjoy having a hot water with lemon and fresh ginger to accompany my first meal of the day. - An organic brown or wholemeal bread, toasted with avocado spread on top. This is quick and I have it often. - An organic brown or wholemeal bread, toasted with scrambled eggs. 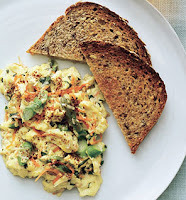 If I have time I like to add chives, cottage/bocconcini cheese and tomatoes to my scrambled eggs! 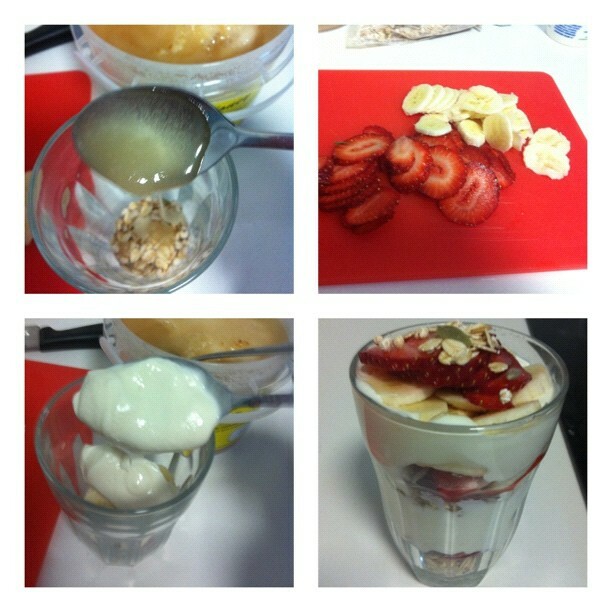 - Natural Greek Yogurt with fruit and oats. I layer mine in a glass to make a delicious breakfast parfait, my favourite! Sometimes I swap out the fruit for berries. Add some honey to the natural yogurt if you really need to, only a small amount as honey is still sugar! - Oats! I make oats more exciting by using almond milk, natural peanut butter and banana. Cook up the oats, almond milk and peanut butter in a microwave for 1 minute, stir it up and add sliced banana on top. Shredded coconut is delish when sprinkled on top! -Breakfast Smoothie, yummy as any meal really. But I use a chocolate protein like Hydroxy Burn Pro by BSC, add half a banana, Almond Milk, a tablespoon of Peanut Butter and some oats blended all together. Could add berries with, or instead of the banana. 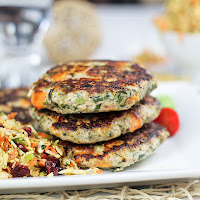 - Oat pancakes. Blend some oats, egg and milk with vanilla essence. Cook as a pancake in a pan and serve with cinnamon and banana. Lunch: For me, Lunch is time for meat and salad! I stay away from carbs and sugars at this time, and have usually already prepared this meal the previous Sunday. I usually eat the same or a similar thing every day for 5 days while I’m at work. Having my meals prepared means I won’t go to the shops and buy something unhealthy. I always cook with coconut oil. 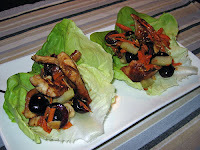 - Grilled chicken strips with leafy salad, cherry tomatoes and bocconcini. - A can of tuna with baby spinach, cottage cheese and carrot. 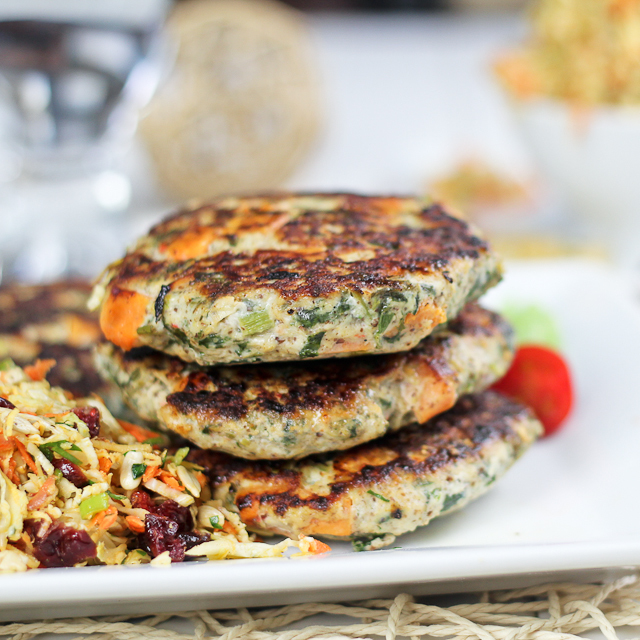 - Homemade chicken patties with salad. - A can of tuna with asparagus and made into a salad. - Lettuce Wrap, get together some chicken, veggies, maybe some cheese and wrap it all up in a leaf of lettuce! Dinner: I usually eat dinner earlier than most, between 5.30 and 6.30 pm. I then go to the gym and train until 8:30 – 9.00 pm. My lunch and dinners are usually really similar and anything I eat for lunch could also be eaten at dinner and vice versa. - Baked Salmon with grilled green beans, pine nuts and baked sweet potato. 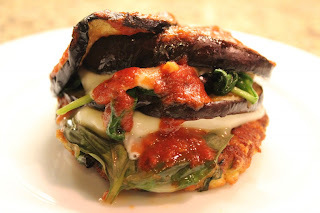 - Baked ‘lasagne’ – I make my own lasagne by slicing an eggplant and using it in replacement of pasta sheets. Topping your healthy lasagne with some sliced bocconcini and baking in the oven, delish. 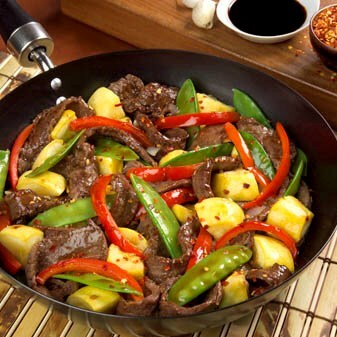 - Stir fry, they’re delicious and there’s many ways to mix it up by using different meats and veggies. - Egg omelette with chicken, tomato, asparagus and whatever other yummy veggies you want thrown in - so quick and delicious. 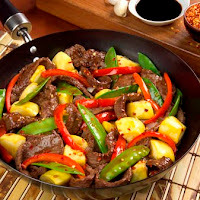 - Lamb & capsicum Kebabs using Middle Eastern spices, serve with lemon and salad. - Steak and baked sweet potato ‘chips’, served with veggies. - Make a ‘Raw Burrito’, a traditional inspired burrito filling wrapped in a crispy lettuce leaf! 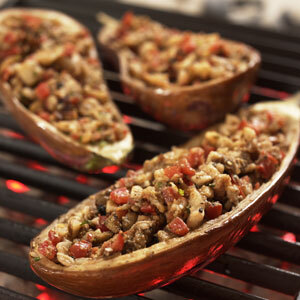 - Stuffed Eggplant – I love making a Moroccan mince, with pine nuts, tomato and spices, scooping out the inside of an eggplant and baking it. One of my favourites. 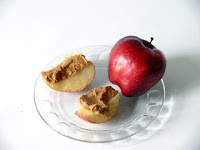 Snacks: It’s important to eat more than just three meals a day. I eat about 6 -7 meals a day, with these small snacks between Breakfast, Lunch & Dinner, maybe a small snack after dinner if I’m hungry. 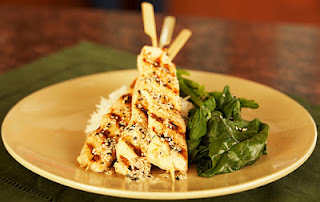 These are all really simple and easy to make or pre-prepare. -An apple, chopped with peanut butter to dip. 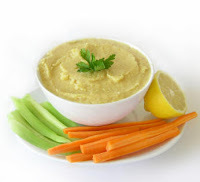 -A carrot, chopped with cottage cheese to dip. - Some almonds or macadamia nuts. 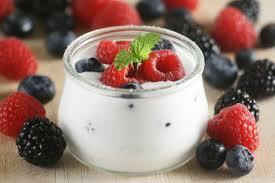 - Natural yogurt with berries. - Cucumber slices with cottage cheese and tuna flakes. - Celery and hummus dip. 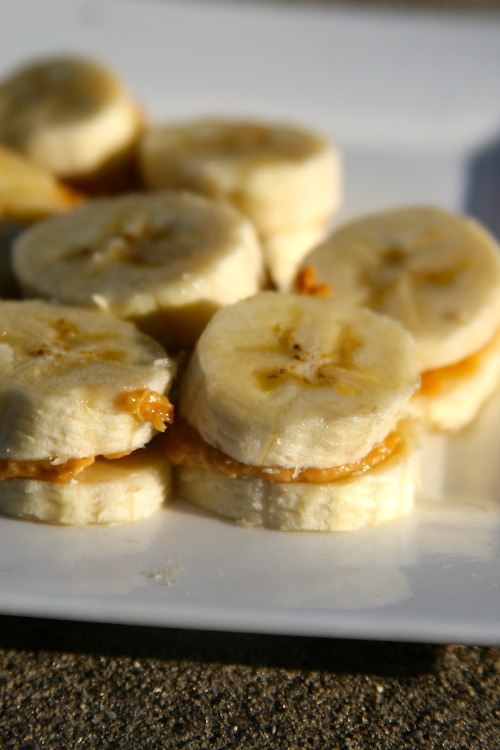 - Banana slices sandwiching Peanut Butter. - Chúng ta triệt tiêu thì rất tốt. Một ma pháp sư liền nói. - Nhạc Cốc trưởng lão, ngươi nói phải làm sao bây giờ, một nhị tinh Đấu Thánh cất tiếng hỏi Nhạc Cốc trưởng lão, mà lúc này, Hồ Điệp cốc, Cuồng Sư môn, và các tam đại nhân tộc khác cũng đưa mắt nhìn Nhạc Cốc trưởng lão, gần đây người của liên quân chết khá nhiều, các thế lực lớn bắt đầu nuốt không tiêu. - Mọi người chớ vội nóng nảy, Đại Song cô nương mấy tháng trước đã nói qua, chúng ta tạm thời lánh mũi nhọn là được. Nhạc Cốc trưởng lão nói, lúc này sắc mặt của Nhạc Cốc trưởng lão cũng bất đắc dĩ, cường giả của Hắc Ám Thần Điện, hắn không phải là đối thủ, nếu lần trước mình không nhanh chân trốn thoát thì cũng đã bị giết chết. - Được ,vậy chúng ta đi xuống cũng không phải là biện pháp tốt, sớm hay muộn thì Hắc Ám Thần Điện cũng khống chế toàn bộ. Very inspiring to get back on track, starting TODAY..especially after slipping a bit during the colder months! 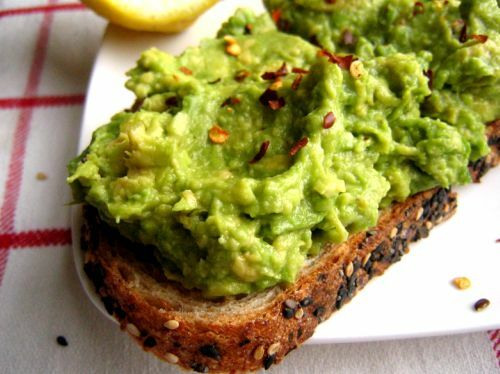 Good lunch and snack ideas especially. I really like your approach to healthy eating thanks for the post I found it really motivating to eat healthier myself. If you interested in fashion and supporting Australian designers you should check out my style blog. Thanks for the great post! This is so helpful and informative! Thank you for this post Chloe I'ts been really motivating for me too eat healthy too. I've been a subscriber of your YouTube channel for ages now and I love all your videos, Facebook, and blog I think you're doing a really good job and it's great to see that from an Australian girl. I'm from Melbourne and have a fashion blog of my own and i'm really passionate about supporting other Australian bloggers like your self. I post about all things fashion including runway shows, designer collections, fashion events that I have attended, street style and personal style, I like to put an emphasis on Australian designers and labels because I think it's really important to support our home grown talent which we have plenty of. Hi Chloe, loving your videos and blogs, can u let us know where you got your black halter top from in your latest videos it's really nice? Thank you for posting this! You've given some great ideas. I know we would all love to see your workout routine too, particularly the booty workouts! 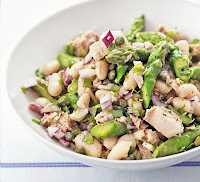 Very helpful and informative ideas.Thanks to sharing.Find moreHealthy Eating Tips on our site. How To Get Your Ex Back Fast I was going crazy when my husband left me and my two kids for another woman. My husband and I have been married for about 7 yrs now. We were happily married with two kids, a boy and a girl. 3 months ago, I started to notice some strange behavior from him and a few weeks later I found out that my husband is seeing someone else. He started coming home late from work, he hardly care about me or the kids anymore, Sometimes he goes out and doesn't even come back home for about 2-3 days. I did all I could to rectify this problem but all to no avail. I became very worried and needed help. As I was browsing through the internet one day, I came across a website that suggested that Dr Unity can help solve marital problems, restore broken relationships and so on. So, I felt I should give him a try. I contacted him and told him my problems and he told me what to do and i did it and he did a spell for me. 28 hours later, my husband came to me and apologized for the wrongs he did and promise never to do it again. Ever since then, everything has returned back to normal. I and my family are living together happily again.. highly recommend Dr Unity, he is the Best online spell caster that is powerful and genuine. If you have any problem contact him and i guarantee you that he will help you. He will not disappoint you. Email him at: ( drbusyspellhome@gmail.com you can also call or Add him on Whatsapp: +2348072222356· Email him at: drbusyspellhome@gmail.com His website: http://drbusyspellhome.yolasite.com . Natasha Hayes, from England. Hi Chloe ,you are my best bloger, and my idol. I wish you good luck. You have a nice body and me not. I admire your workout and I would like to see more videos of this. How to burn and firm my body. Thank you so much and you are the BEST! ...I almost lost my life when my lover of 6yrs left to be with another woman. I cried and sober every day, until it got so bad that I reached out to the Internet for help.And i saw a testimony of a spell caster who help a girl called Michelle and i said let me give it a try so i contact him for help and he cast a love spell for me which i use in getting my love back and now i am a happy woman.For what you have done for me, i will not stop sharing your good name to people out there for the good work you done for me. I hope God blesses you as much as you have help me to get my Love back, it is ideal i published this on a local newspaper for Dr in other to brings more customers to him, he worth more of this and his reward are sure. contact him on; driraborspellcaster@gmail.com his cell phone number is +13019098775 he is the only answer to your problems. I was in total despair when I found Dr. Todd. My life was going terrible and I didn't know if I was coming or going. I had just gone through a rough divorce, wasn't making enough money to sustain me and my children, and my 17 year old son had just gone to jail for the first time. When I talked to him, I immediately found a sense of peace. He was very honest with me and I could feel that. He also told me that everything would be okay. After my work began, things began to change. My bills were all caught up, the relationship I was in became much stronger, I was never FLAT broke, and my son was released from jail earlier than we expected!! I also completely got over the failed marriage and began to move on. And, received a better position at my job which will cause an $800 per month increase!! I felt completely comfortable with the work that was being done because I was always encouraged by Dr. Todd. manifestspellcast@gmail.com or website:https://manifestspellcast.wordpress.com is the BEST!!! !